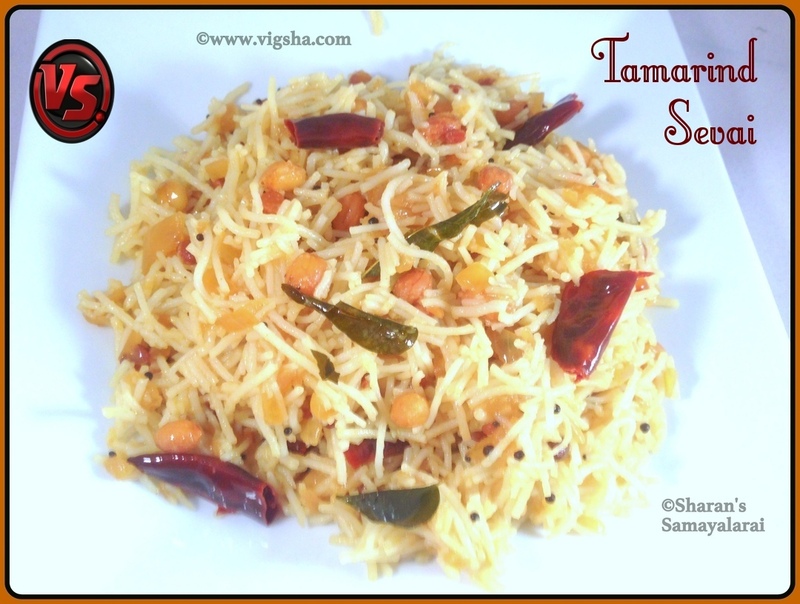 I have posted few Sevai recipes earlier, do check out here - Tomato Sevai, Veg Sevai, Curd Sevai and Traditional Sevai. 1). Heat water in a deep pan and switch off when it boils. Then add the sevai and keep it covered for 3-5 minutes till rice sevai is tender. Drain the water and set it aside. (or) Prepare rice sevai as per the instructions on the pack. Drain the sevai and let it cool, set aside. Extract juice from tamarind and keep aside. 2). Heat sesame oil in a pan, add mustard and let it splutter. Add urad dal, channa dal and saute till it turns golden brown. Then add peanuts, fenu greek and curry leaves, stir-fry for a minute. 3). Add chopped onions, salt, hing and red chillies, saute till the onions turn translucent. 4). Add turmeric powder, jaggery and tamarind extract. Allow it to boil until the raw smell goes and the mixture thickens (Puli kachal consistency). Switch off and let it cool. 5). Add the drained sevai to the pulikachal, combine everything together. Check for salt and spices, adjust accordingly. Finally garnish with freshly grated coconut. Serve warm with coconut chutney. 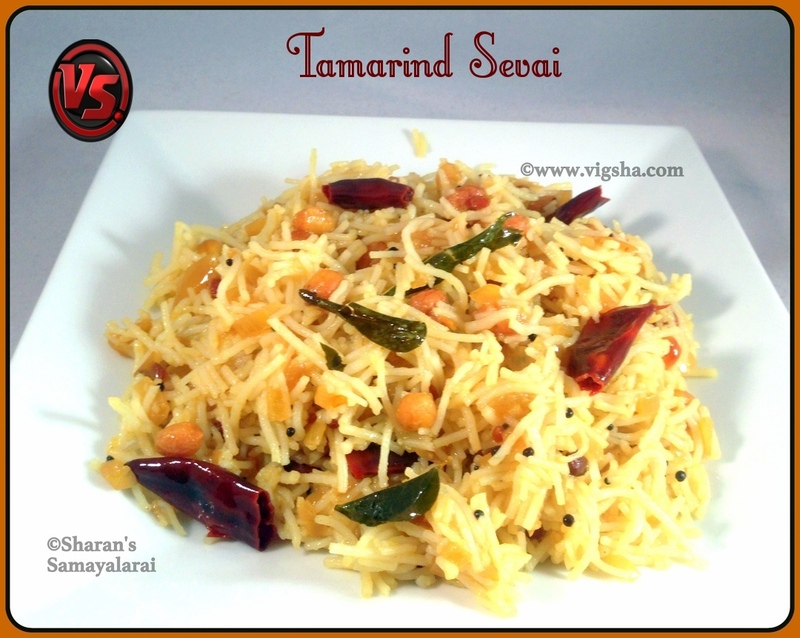 # After adding cooked sevai, do not over mix the sevai and make it mushy. # Don't skip sesame oil, it gives good flavor. # Always mix with sevai and let it sit for a minimum of 30 minutes. So that it absorbs the flavors. The more time it sits, better the taste.